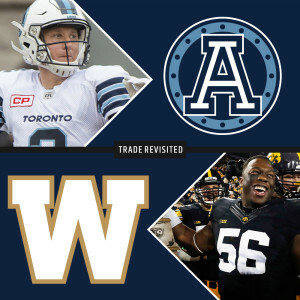 In what was undoubtedly the most talked about trade heading into the Draft, the Winnipeg acquired Toronto’s 2017 first round selection (1st overall) along with international defensive back TJ Heath and a third round selection in the 2018 CFL Draft for international quarterback Drew Willy. Bombers got not only a second pick in the first round but got to set the tone for the rest of the Draft, taking Ekakatie who GM Kyle Walters described as being “athletic, physical inside and has the character which we covet in this organization”. As for the other side of the deal, the jury is still out as to whether or not Willy is in the Argos’ long-term plans. BC acquired Montreal’s first round selection (3rd overall) in exchange for the negotiating rights to international quarterback Vernon Adams Jr. This could net well for both teams involved however we may not know for quite some time. The Als get a potential QB of the future if he develops as planned and is patient behind Darian Durant. The Lions get a sure-handed receiver that could develop into a solid replacement for the now-retired Shawn Gore. Calgary acquired Saskatchewan’s fourth round selection (28th overall) in exchange for national defensive back Tevaughn Campbell. 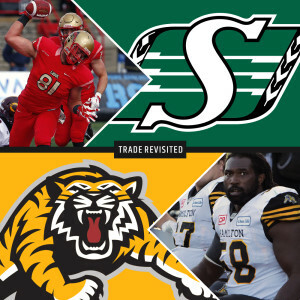 Saskatchewan acquired Hamilton’s fourth round (30th overall) and seventh round (57th overall) selections along with national defensive lineman Linden Gaydosh and international wide receiver Tommy Streeter in exchange for national defensive lineman Justin Capicciotti and international offensive lineman Xavier Fulton. While Capicciotti looks to find a spot on what is a very crowded defensive line, Fulton signed an extension and likely holds a starting spot in the trenches in Hamilton. As the Riders look to the future, they will need to wait and see what the return in the trade was as Auclair currently belongs to the Tampa Bay Buccaneers of the NFL. Prior to signing, he was listed at no. 7 on the CFL’s Central Scouting Bureau. Saskatchewan acquired Montreal’s fourth round selection (32nd overall – originally Winnipeg’s) and a conditional selection in the 2018 CFL Draft in exchange for international quarterback Darian Durant. 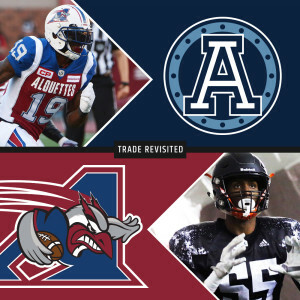 Montreal originally acquired Winnipeg’s best 2017 fourth round selection (32nd overall) in exchange for international quarterback Kevin Glenn. The headline of this trade is Durant but the Riders had clearly turned the page. On the other side, it is difficult to argue with the Als who got a starting quarterback in exchange for Meredith has been out of football for some time now. 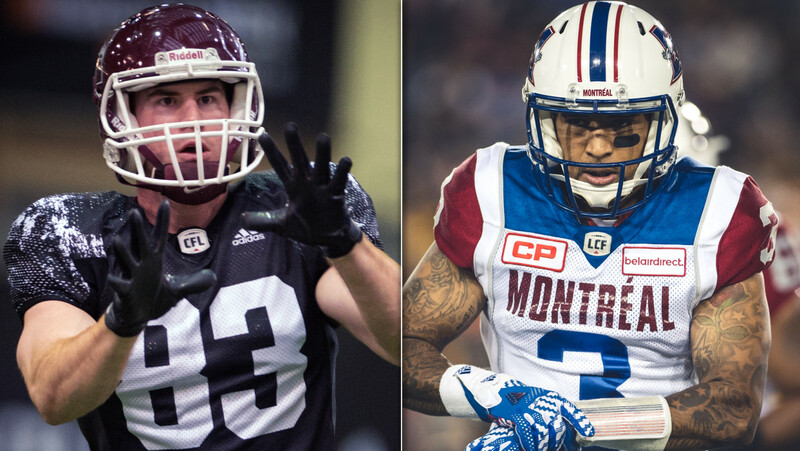 Hamilton acquired Montreal’s fifth round (38th overall) and sixth round (47th overall) selections along with international defensive back Khalid Wooten in exchange for international defensive end Denzell Perine, international running back Cierre Wood, and Hamilton’s fifth round (39th overall) and sixth round (48th overall) selections in the 2017 CFL Draft. 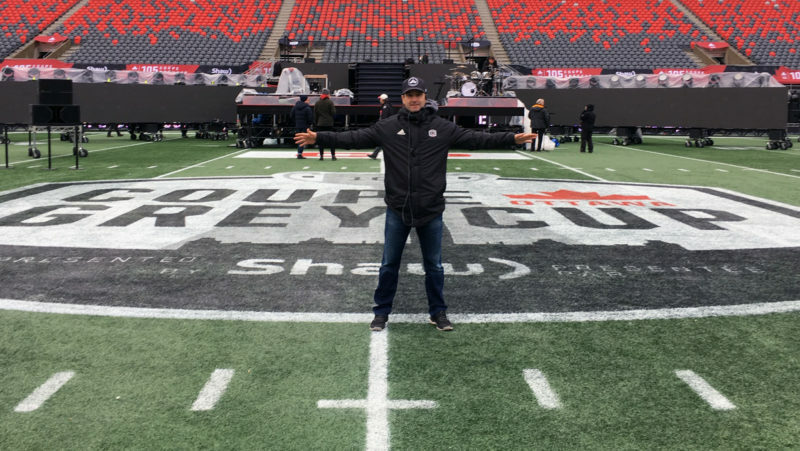 The Ticats get a University of Fordham grad in Vaughan who played 41 games, starting 21 times, over four seasons from 2013 to 2016. The 6-5, 287-pound native of Hamilton, Ontario, recorded 82 tackles, 21 tackles for loss, 7.5 sacks and one pass defended for the Rams. Vaughn earned First Team All-Patriot League honours and was named Fordham’s Defensive Player of the Year in 2016. 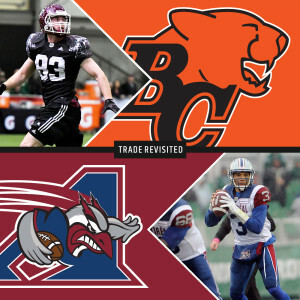 Montreal acquired Hamilton’s fifth round (39th overall) and sixth round (48th overall) selections along with international defensive end Denzell Perine and international running back Cierre Wood in exchange for international defensive back Khalid Wooten and Montreal’s fifth round (38th overall) and sixth round (47th overall) selections in the 2017 CFL Draft. Annen played his first two seasons on the Ravens defensive line before moving to the other side of the trenches, as he was a starter at the centre position the following two seasons. He played 29 regular season games for the Ravens. 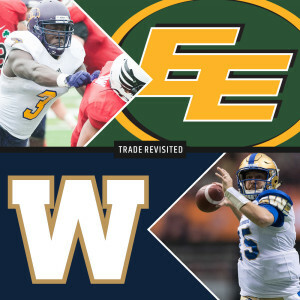 Edmonton acquired Winnipeg’s best 2017 fifth round selection (41st overall) in exchange for international quarterback Matt Nichols. In return, the Esks get Boateng who some would consider great value at 41 overall. The six-foot-two, 250-pound defensive lineman is Wilfrid Laurier’s all-time sack leader. The two-time Academic All-Canadian was a member of the Yates Cup conference championship team this past November. Boateng received an invite to mini camp for the NFL’s Chicago Bears which contributed to his stock falling. 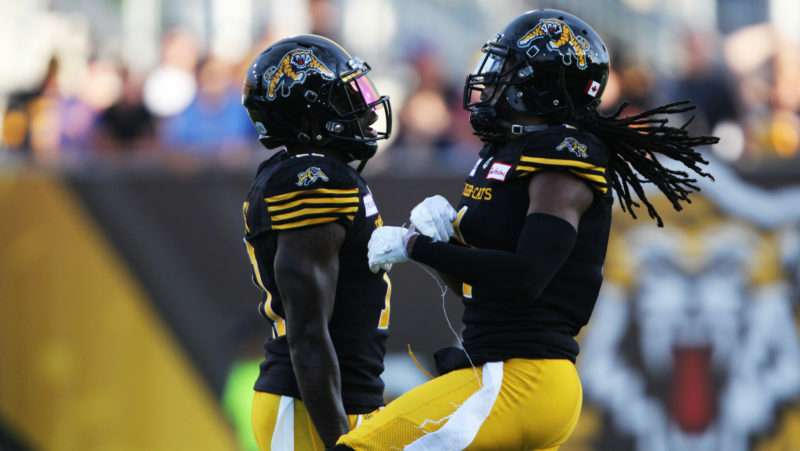 Montreal acquired Toronto’s 2017 sixth round selection (45th overall) and a conditional selection in the 2018 CFL Draft in exchange for international slotback S.J. Green. A veteran receiver goes and a rangy young pass-catcher enters. Carter had an impressive regional combine and earned an invite to the national. 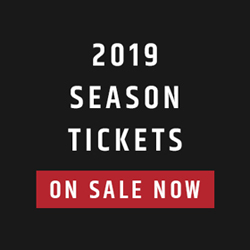 He played three seasons with Carleton before joining the Ottawa Sooners of the Ontario Junior Football League, where he caught 29 passes for 537 yards and nine touchdowns in only seven games. Scarfone, 23, missed the entire 2016 season due to injury. In 2015, the 6-1, 200-pound wide receiver played eight games for the University of Guelph, registering 57 receptions for 940 yards and 10 touchdowns. The native of London, Ontario, played 19 career collegiate games for the Gryphons from 2013 to 2015, posting 65 receptions for 1,060 yards and 11 touchdowns. Last year, Radford the conference in kickoff and punt returns and showed his versatility with the Dinos playing both sides of the ball. 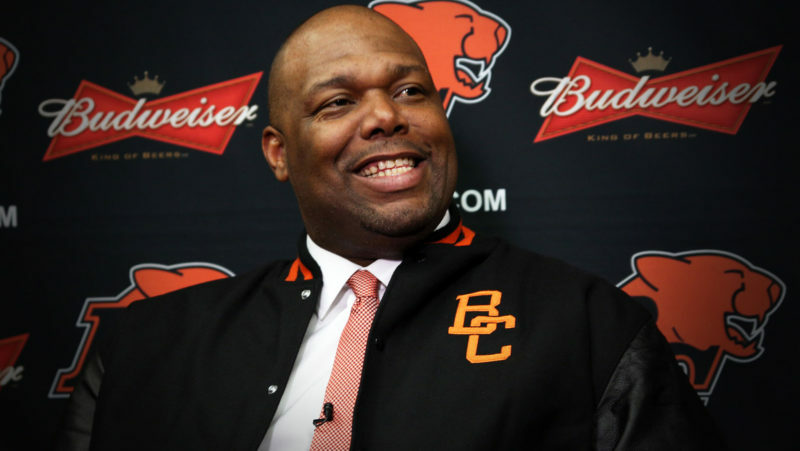 Hamilton acquired Edmonton’s seventh round selection (58th overall) in exchange for international offensive lineman Brian Simmons. Golding, 23, missed the entire 2016 season due to injury. In 2015, the 6-5, 280-pound offensive lineman appeared in five regular season games at Wilfrid Laurier University. The native of Dunnville, Ontario, appeared in 15 career games over three seasons (2013-15) for the Golden Hawks.